Designer Jackets completely complement your professional salon or beautician look. They are used by all salon and spa staff. Long lasting esthetician jackets are always admired compared to the one’s which fade after some time. Salonwear’s Designer Coats are 100% durable and made up of top quality fabric with a durable water and stain finish, lavish in comfort. Keep your clothes clean preventing them from getting affected by water, stains, color, bleach or any other chemicals. Happy experimenting, say bye to stains! The right choice of fabric and color brings out beautiful results which are always acceptable. Jackets vary from one another depending on the fast-changing needs and challenges of the stylist in this fashion world. Ranging in the pattern, classic designs, style, color. There are many features such as short sleeves, 5 buttons, shoulder pads, side splits, straight bottom, scallop bottom, ring collar, European collar, Fachion collar, snap up front, different length and many more. It’s time to throw off your passe salon & spa jackets. The designer coats are the ones to have. 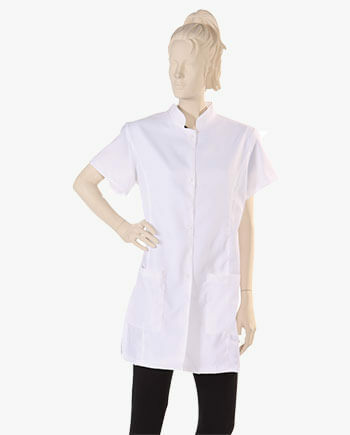 The huge range of esthetician jacket available has something that will suit your every taste. No matter what your choice in fashion, you will find something luxurious here at pocket-friendly prices. To look professional and feel the warmth in stylish designer jackets, its the best place to be. 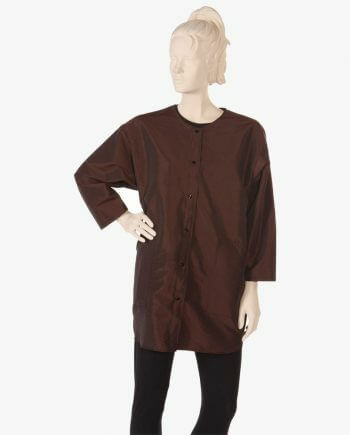 Don’t stop yourself from buying these superly excited smocks. 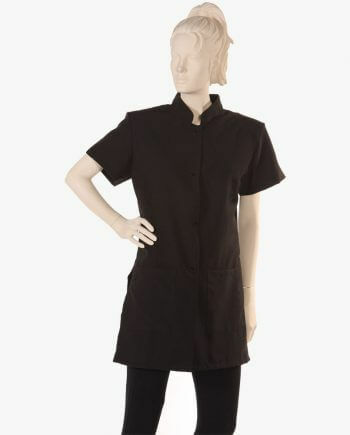 Salonwear provides ample options for online shopping for salon jackets with a variety of options, keeping in mind the likes and dislikes of buyers. Making the choice depending on your preferences is our honor. 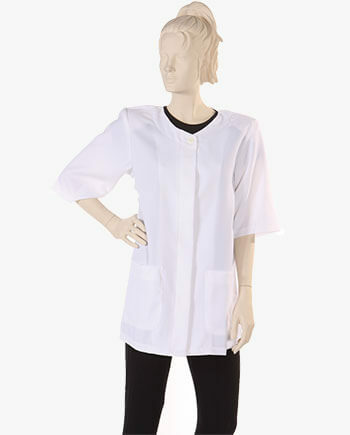 Whether you wish to revamp the collection of your cosmetologist jacket or want to add an esthetician jacket, the collection at the Salonwear.com online store is sure to cater to your shopping needs. 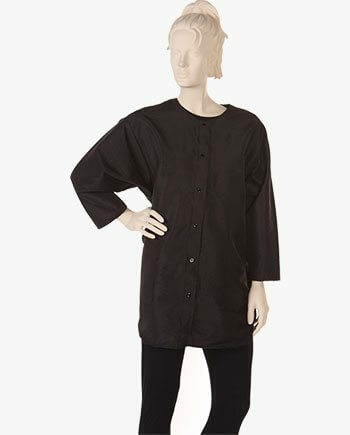 4 Snap Coat – 4 Snap Coat is a thigh-length jacket with four snap up front. 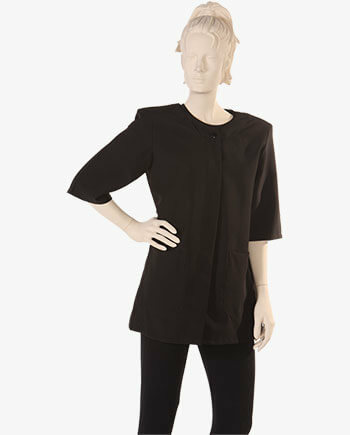 Short designer sleeve, fashion Asian collar, 2 hairless pockets, shoulder pads, side splits and straight bottom. 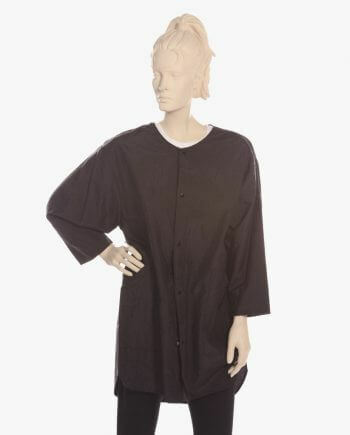 Super Coat – Super Coat has 5 snaps, 2 hairless pockets, a mandarin collar, a scallop bottom. Swing Coat – Swing Coat is waist length jacket with 5 button placket front, 3/4 length set-in sleeve, shoulder pads and Straight bottom. VNeck Coat – V Neck Coat, this one is the really awesome product with assured soothe. New V-neck fashion-forward jacket is a cute attraction with two pockets, pleated back, and tailored European cut is just beautiful on. We also provide salon wear, spa wear and salon apparels in bulk. 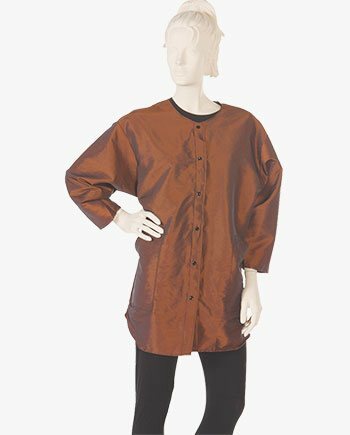 You can shop for salon apparel wholesale such as salon coat wholesale, beautician jacket, hairdresser coat, hairstylist jacket, wholesale spa jacket, barber jacket, esthetician jackets, and many more.